Beautiful, handmade albums. 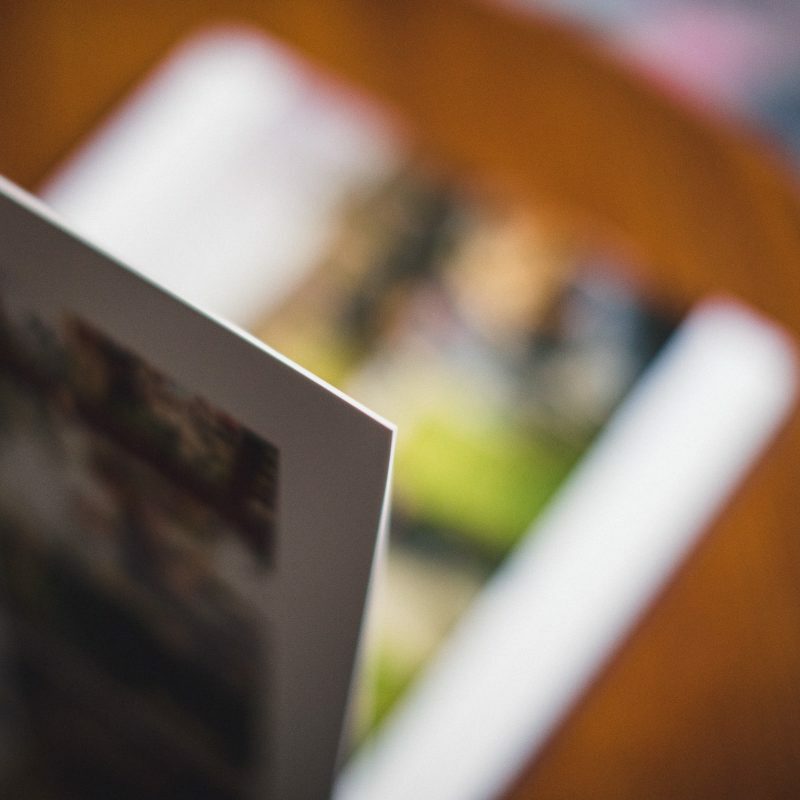 Digital is wonderful, but we think there is still something special about the printed photograph. Why would I want an album? We believe that photography is best appreciated in print form and we are very proud of our wedding albums! There is just something special about reaching out and touching photos. Digital is wonderful and we love sharing our work online, but there is just something timeless about the printed photograph, especially when they are incredible quality with amazing tactile feel. 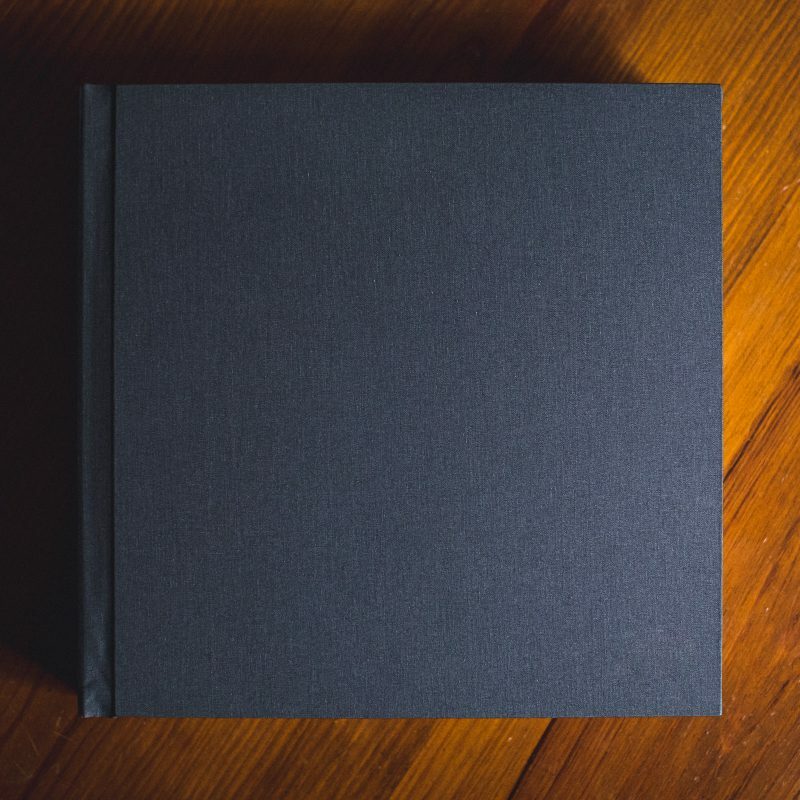 We offer albums in both Italian leather and layered, woven linen. How are these different that an album I can make? There are a few key differences to the albums we offer (which are only available to professional photo studios) and the ones you can design and buy online. 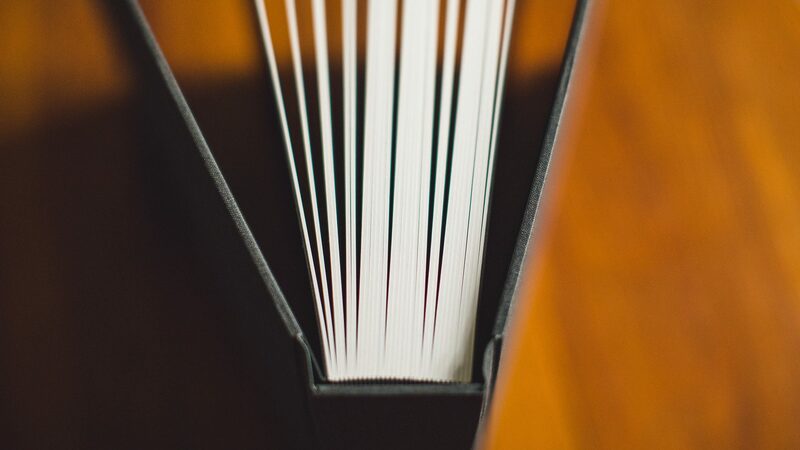 First off, instead of the typically mass produced and automated production books you find most places, our wedding albums are custom designed and hand crafted. So they take longer to produce, but you can feel the quality difference. The biggest difference though, is that our albums have the images pigment printed on Fuji Crystal Archival Paper. This means that the prints will not fade over time and the prints are extremely detailed. 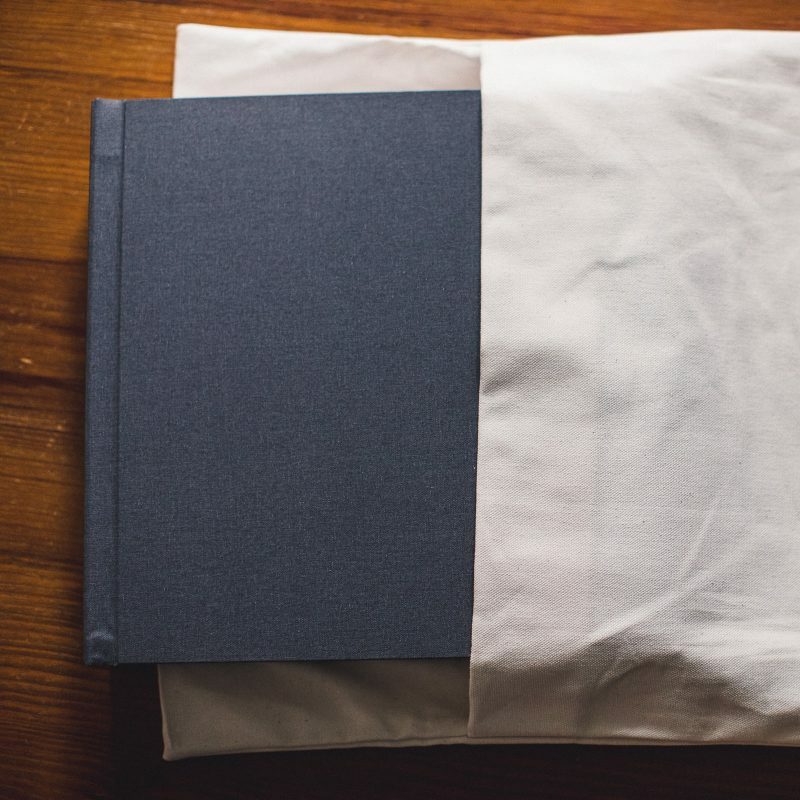 The less expensive DIY books online are typically standard prints on more standard papers, that aren’t as detailed (not as sharp) and will not last decades without fading. 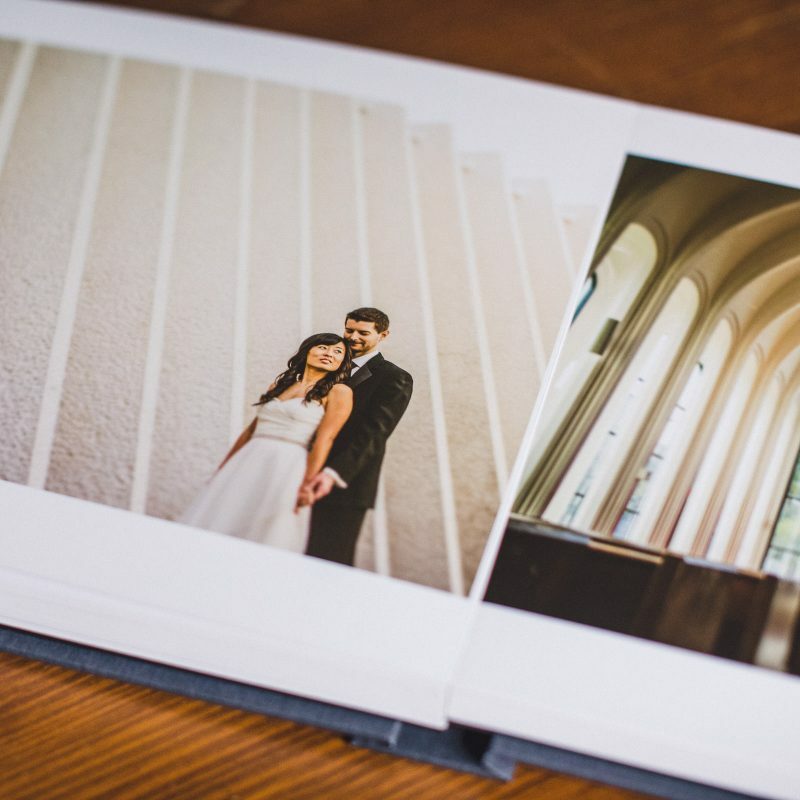 Our albums have a lay-flat design, which looks great for photo presentation. It also allows us to print across the seam when a particularly wide photo is used. Every album of ours ships in a linen protective bag. When you’re not showing off your images to friends or family in the album, you can store you album safely in this slip-cover bag. At this point it should be clear we love our albums. In this digital world we live in, we think it’s more important than ever to have something real and tactile (and something that stands the test of time). So we think that if we are photographing one of the most important days in your life, we also believe those memories deserve to be shown in the highest quality. How does the album creation process work? We try to make this as easy as possible. When we deliver your photos, you can select your favorite images directly from the online gallery. We then use your favorite images to begin the design process. Or we can do this ourselves, choosing a selection that we feel tells the story of your day. We happily cater to either preference (or a little of both). After this we design your album and when we are finished we will share a draft. We can talk feedback and get it just the way you want it. Lastly we actually have the album printed and made. This is the part that takes the longest. Your album will be shipped straight to you. From design process to you receiving the album, the process usually takes 3-5 weeks. 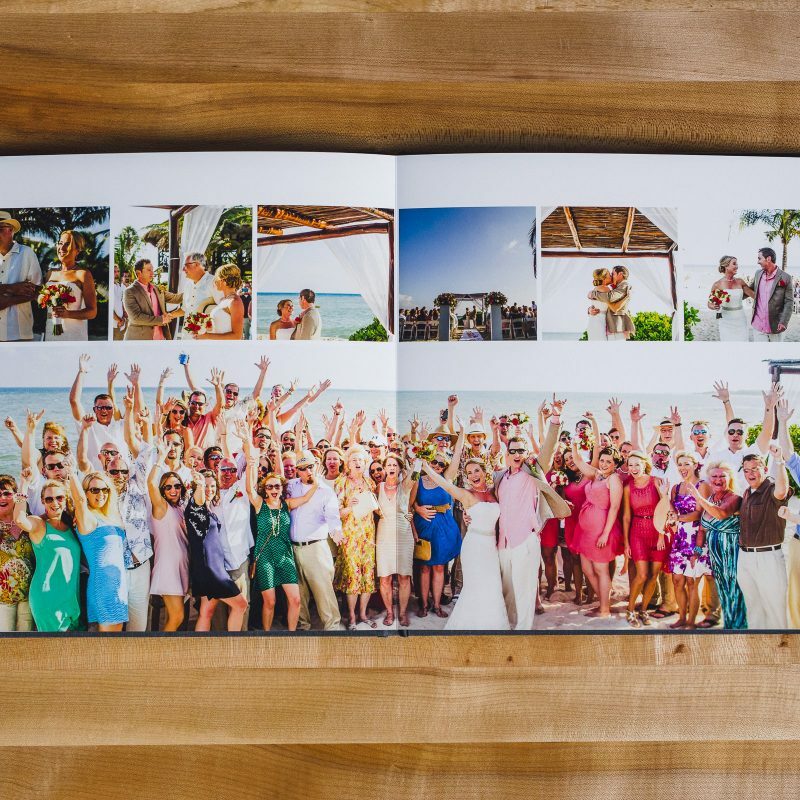 For our 10x10inch album we recommend 100-150 photos. For our 12x12inch album we recommend 125-175. Do I have to buy an album when I book my wedding package? Nope! While many of our clients do go this route, we have plenty who decided at a later date that they wanted to invest in a album. We happily honor our album pricing even if you choose to order it later. What if I want another album later down the road? We’ve got you! We save our wedding album designs, so if later on you decide you want another copy (as a gift maybe), then we can easily get you another one. Yep! We do these in a few different ways. We can do this as simply getting you another copy of your wedding album. We can also work with parents to create a custom album just for them (maybe they want a few more photos of Uncle Bob than you do), or we can also work with you to create a more specific design for them. We do quite a few parent/grandparent albums around the holidays. Happy to accommodate! How long do the albums last? The Fuji Crystal Archival Paper that the images are printed on is typically rated for 60-80 years. However if the albums are taken good care of, stored properly, and not left out exposed to sunlight, they can last much longer.